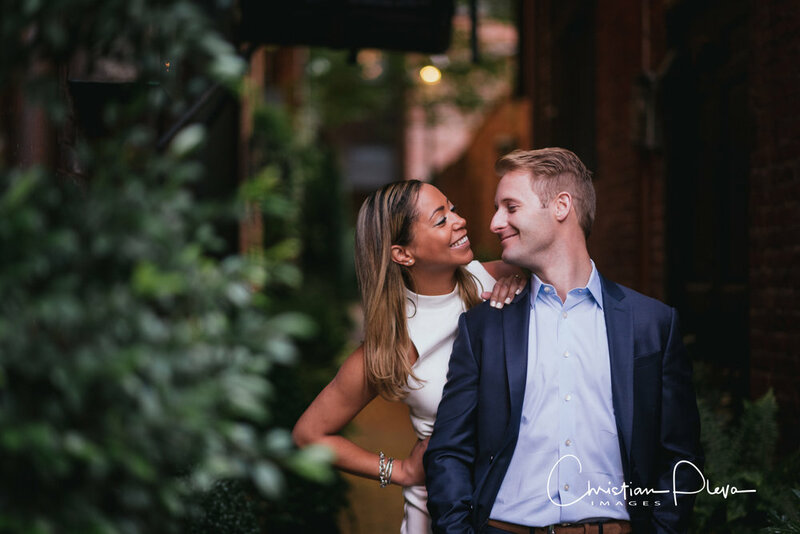 I had the opportunity it get up nice and early last week to join Ari and Dan for a sunrise shoot in the Back Bay of Boston. 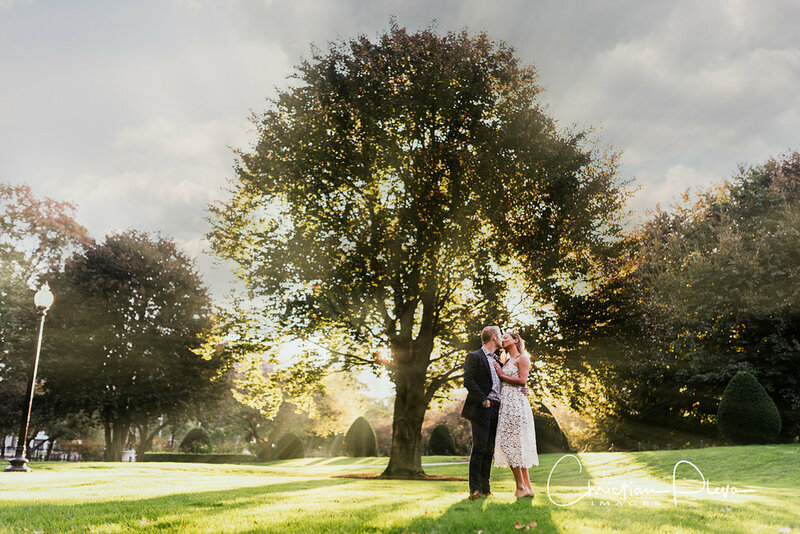 I love engagement photography at this time of the day. The light is amazing and the city is quiet and just coming to life. The best part of the shoot was experiencing the love and joy these two have for each other. We had a great time walking, talking and of course making some pictures. 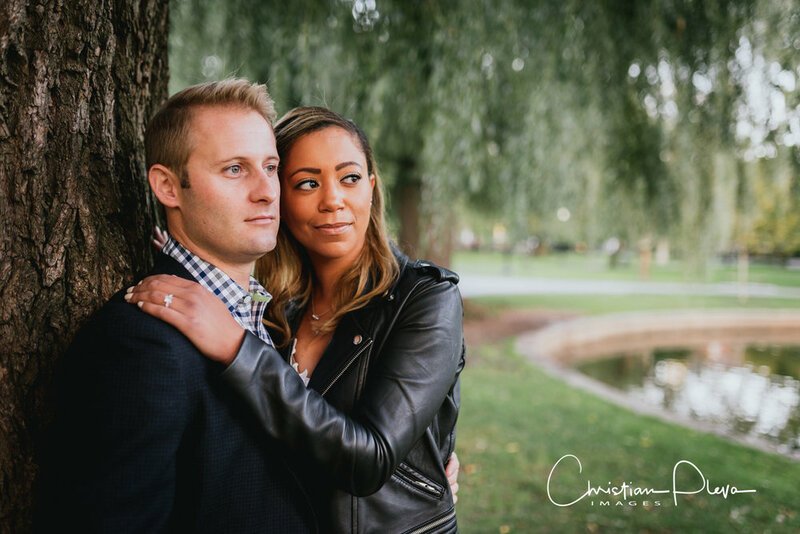 Here are a few sneak peeks along with a few words from the couple about their fun story! Ari & Daniel met November 21st 2012 the day before Thanksgiving and it was love at first salad! That night was a Masconomet high school reunion at the affluent establishment known as TGI Friday's. Ari graduated from Masco and although Daniel did not go there he had many friends from Masco as he grew up in the Town of Boxford (as did Ari). Anyways, Daniel was at The Hardcover Restaurant with a friend watching the Bruins game while enjoying their delicious salad bar equipped with all the accouterments necessary for a perfect salad (a personal favorite of Grandpa Gallagher). It is their that Daniel caught a glimpse for the first time of the gorgeous Ari. After putting enough salad in a bowl to feed a family of 8 he returned to the bar to tell his buddy about the incredible girl he just saw. He wanted to introduce himself to her but, being the gentleman he is, did not want to be rude and interrupt what seemed to be the most casual dinner in the restaurant consisting of two beautiful girls, salads and multi-colored drinks with umbrellas to protect the ice cubes if it rains (and the girls...). The two beautiful ladies eventually paid there check and left the premise. Daniel saw the other girl that was sitting with Ari and realized the world was in fact gracious and he would have a chance to get to know her at the reunion. The best part of the story, Ari and Daniel both remember seeing each other from across the restaurant. They connected and it truly was love at first sight. They slowly made their way to each other dodging other friends and trying to peel their feet off the ever so lovely and clean floor of TGI Friday's. They said their goodbyes at the end of the night in which Daniel finally asked for Ari's number in which she said "OF COURSE I THOUGHT YOUD NEVER ASK!!!" After that, they talked every day. And from then on, C'est la Vie!! While vacationing in Paris, France Daniel popped the question at the Pont Alexandre III bridge. With a veiw of the Eiffel Tower in the back and a bottle of Chardonnay, the moment could not have been more perfect. We are so excited to experience our special day with the people who love us the most! Having so many friends and family members all over the country and world it is very important to both of us that we are able to have them all there to celebrate with us on our special day! Just be yourself and giggle along the way! We had a great experience taking these pictures! Wonderful, Christian is awesome and goes out of his way for a picture, we are so excited to see how they came out because we has such a blast taking them!